Nice write up, good on Mr. Kim Son. I think that's enough to disobey my Cardinal Rule of SIG and consider some for my P220. *Cardinal Rule of SIG- fancy grips on a SIG are like wire spoke wheels on a Hummer. 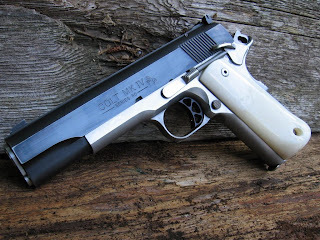 SWMBO would love some for her 1911, though. Very nice! How do I place an order? After checking out his site, I think I'll have to place an order soon. Hope the shipping isn't too bad. Excellent! 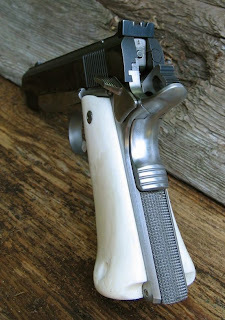 I now know where I will get grips for all my custom guns! Are you kidding me? The only thing more dangerous than pointing loaded gun at your head is running a table saw with out a push stick. I was cringing the whole time I had that video running. CAn you imagine the smell of the bone in the saw???? 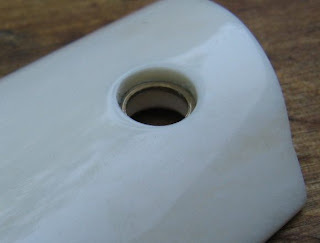 Grips look great will check it out!! "CAn you imagine the smell of the bone in the saw????" The whole place must stink of burnt bone/ horn. Nice workmanship though. Too bad the shipping is so high. A good place to pool orders. 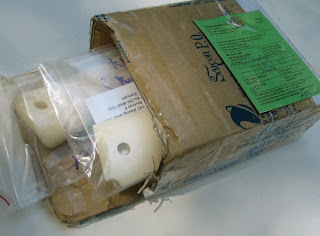 Bone have process to don't have any bad smell.Don't need worry about that. 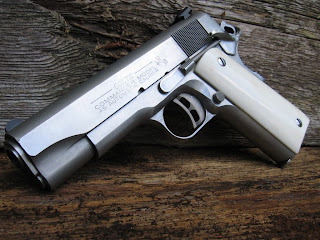 P/s Xavier: Did your receive my email about compact 1911? 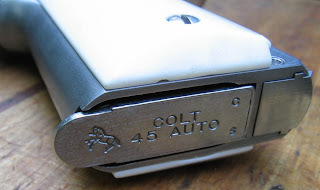 if i have a colt commander would i click on the compact box or the full size box? Commanders use full size grips.